ERP: Russian Roulette Or High Caliber Initiative? Jason is a Principal Consultant. His expertise is primarily in IT strategy, delivery assurance and pre/post-merger integration execution. He specializes in the delivery of business-aligned systems integration and technology implementations and large-scale business and IT transformation initiatives. 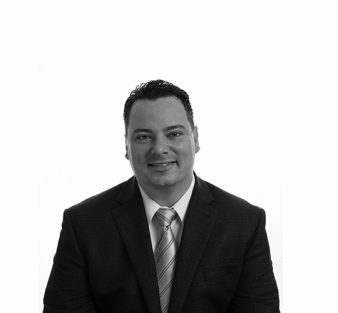 Jason brings more than 18 years of consulting and operations experience with an emphasis on IT transformation, strategy, and delivery assurance. Throughout his career, he has worked with clients across a broad variety of industries and is able to efficiently create solutions for his clients. 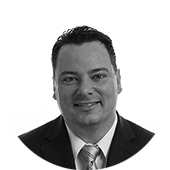 Jason enjoys aiding clients in the creation of strategic initiatives and efficient solutions for complex issues. He joined Liberty to help executives develop technology solutions that drive business value. For the better part of 20 years, investment in packaged ERP systems has been big business. According to Gartner, worldwide spending on ERP program implementations, upgrades, and maintenance totaled an estimated $120.4 billion in 2012. The ability to systematically integrate functions of your business into a streamlined application has promised to provide greater operational efficiency, advanced data capabilities, and competitive advantages. 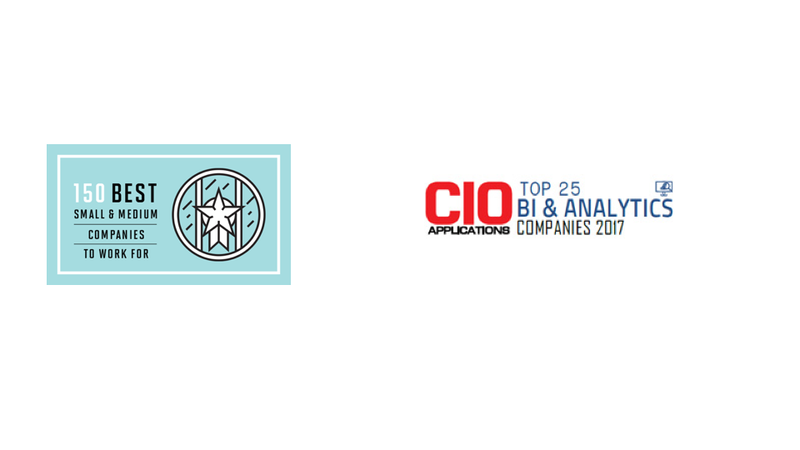 A CIO Magazine study concluded that more than half the executives surveyed are dissatisfied with the results of their ERP programs. Furthermore, significant numbers suggest the benefits of these programs are failing to meet expectations. Despite these findings, executives continue to invest in large ERP initiatives to avoid the risk of falling behind both technologically and functionally. This panicked decision can do more harm than good. When companies change their ERP system, they make sizable investments that can be highly disruptive to the organization and run the risk of failure as the statistics suggest. Why Consider an ERP System? There are several factors that lead to considering an ERP initiative. Aging platforms, new capabilities, and lower operating costs are frequent investment drivers. Many executives attempt to solve inefficient business processes through the introduction of systematic improvements, but unless the business process design is addressed, simply throwing software at the problem seldom fixes it. 1) The company tries to force fit their business process into the packaged application, limiting the business process to the packaged software solution. This approach decreases a company’s ability to differentiate that particular business process, potentially eliminating its competitive advantage in the market. 2) The second approach is to customize the packaged application software to adhere to the existing business process. This can lead to complex solutions that fail or add a high maintenance cost to the final solution. This trend toward failure will continue, if not escalate without significant guidance for executives about the realities of these programs. In particular they need assistance deciphering what many service providers are selling and determining the readiness to embark on such initiatives. Executives need a clear framework and proper controls to understand the tradeoffs in requirements and design, from a perspective of how decisions impact the business case and future operating costs. Properly contracting and managing the software vendors and implementation partners can accomplish this; however, many executives lack the implementation experience to anticipate the road bumps ahead. For this reason it is highly recommended to have an objective, experienced senior advisor as part of the implementation team. With the average ERP program costing tens of millions of dollars, executive leadership becomes increasingly anxious to realize the benefits and cost savings typically promised from ERP software vendors and service providers. Therefore, the development of a clearly defined business case is paramount. It should outline the expected benefit realization (increased profits, cost savings and new functionality), projected investment amount (time and capital), and the pre-determined progress metrics (project and value creation), along with current and future operational metrics. The coined phrase of Return on Investment or “ROI” is presented as a potential measure. However, more than half of ERP programs never recoup the cost to implement and/or aren’t designed to measure the value during implementation and post project completion. Organizations usually start out with a business case, but it is disregarded shortly after the start of the program. Without maintaining focus on the agreed upon objective, the program is exacerbated by high cost overruns and late delivery. Underestimating the lack of sponsorship alignment is where most companies go wrong when developing a business case. Companies underestimate the technological and consulting costs, the change management requirements that accompany business transformation, as well as the effort to review and change existing business processes. Additionally, companies fail to create a well-defined project charter outlining the strategic direction that is clearly embraced and understood by all stakeholders. Once funding has been procured, programs often move into the implementation phase too quickly in an attempt to realize benefits sooner. More times than not, this will lead to objective misalignment between executive sponsorship and project leadership. Clearly outlining the project charter (i.e., intent of the program initiative, identification of key stakeholders and responsibilities, and a framework of determining business requirements) will not only improve project direction and understanding, but the overall adoption rate as well. The path to implementing an ERP system can certainly be straightforward and immensely powerful, as long as the software selected is integrated properly with your business operations. Little can be gained from diving into a project of this magnitude without a clear understanding of the potential risks, what is required to successfully complete the project, and potential post implementation investments required. Companies must realize that ERP programs should be a business transformational initiative; and the belief that simply conforming the business to the software, or vice-versa, has led to many ERP failures. A committee that contains IT, business, and finance leadership should spearhead the creation of the business case effort. This will establish the proper stakeholders, as well as create mutual accountability among them. Outlining the desired benefits from each team and how those benefits will be realized in collaboration is critical to the overall ERP benefit realization. Clearly identifying the challenges that can be remedied by implementing an ERP system is simply not enough. Alignment on product selection criteria, key decision protocols, and program governance are all equally vital to increasing your odds for success. • Outline the process and frequency for review to ensure that the trajectory and the completion of the project adhere to the benefits outlined in the business case. A critical point in the ERP program lifecycle happens before the project even begins; selection of the software vendor and system integration partner. As previously indicated, the business case should predetermine the product and implementation partner selection criteria. Factors such as technical fit, total cost of ownership, and service reputation should all be considered in this selection framework. In most cases, the software selection decisions fall on IT management that may think they have ERP implementation experience, which is usually far from the truth. As a result, software vendors and consulting companies enter the picture as the educator to the decision makers, often with a bias towards a particular software packages and/or service capability. While product providers and system integration firms are certainly dedicated to providing high value to their customers, their sole purpose does not end with just a successful ERP delivery. Application outsourcing, product maintenance support, and license renewal agreements have recently become vital components to these companies revenue stream. Consider this: Prior to 2000, new licenses accounted for approximately 50% of sales revenue for SAP (the leader in ERP packaged software). In 2012, 28% of their revenue stream was from new product licensing while over 50% was derived from product support and maintenance agreements. Oracle’s trend lines mirror SAP’s. In the same time period, consulting giant Accenture’s revenue stream has approached an equal balance between consulting/technical services and application outsourcing. Software vendors and consulting companies are obligated to deliver to their contracts. The vendors’ advice is predicated on the existing contract and/or future contract opportunities, casting doubt as to whose best interest they are trying to serve—theirs or the client’s. Furthermore, with the wide spread allegiances between software vendors and system integrators, companies are seldom receiving truly independent advice on key business decisions. The service providers have organizationally aligned to the software packages, making their consultants experts in configuration for that particular packaged application, but this does not make them experts in your business or business capabilities. Perhaps one of the most discussed controversies with implementing an ERP system is the topic of customization vs. out of the box functionality. A 2010 survey conducted by CIO magazine showed that less than 30% of companies implement “vanilla” ERP software. Conversely, heavy customization is prevalent in nearly 40% of organizations. Customization adds significant risk and complexity to the project, increases the difficulty of future upgrades, and deviates from the solution best practices created within the software. More importantly, heavy customization can be seen as a symptom of discrepancy between the software selected and the businesses requirements, which are most likely differentiating in the market. While it is certainly possible that heavy customization was intended from the onset, a lack of program governance and experience more than likely contributed to these statistics. Without a well-defined business case and strong project controls, customization requests are often implemented without rationalization of impact and the exploration of existing core functionality solutions. Proper analysis and prioritization of customizations should outline the benefits achieved (i.e. cost or unique competitive advantage) that cannot be obtained via work-arounds in the system. Furthermore, project metrics need to be aligned at the onset of the project to measure and manage to operational goals that are set out in the business case. This is critical in order to gauge project progress, as well as post implementation success. “What gets measured gets managed” is often true if management helps define and understands the data they are receiving. The ability to allocate and re-direct resources and remove progress obstacles real-time is vital to preventing project delays. Therefore, executive and management alignment on these factors is critical from the beginning of the program. Therefore, executives should utilize the business case as more than a one-time exercise to secure project funding. It should be re-visited throughout the life cycle of the program to validate project design, help establish key milestones leading to the implementation phase, and measuring targets for post-implementation performance. Using the business case as a value tracker and decision-making toolset throughout the project can be vital to ensure adherence to the initially proposed benefit. All solution modifications and enhancements identified throughout the project should clearly keep the business case objectives outlined and approved. Updating the business case throughout the project lifecycle should be a consideration as multi-year ERP programs can witness a series of dynamic business changes. Despite hiring a consulting firm to “manage” the software installation, configuration, and integration, companies should maintain control of its business processes. There is a reoccurring misperception that technology can solve or resolve business process inefficiencies. As a result, the transformation of business processes is often under-appreciated and under-estimated. Evaluate your organization’s own ability to take on the initiative. Organizations are willing to spend millions on software licenses, hardware, and consulting fees, but fail to foresee the organization’s own internal abilities and investment required. Consulting companies naturally practice the art of “entrenchment” where a company is often left with no choice but to rely on them for continued support and future enhancements. Executives will typically outline where they believe they will maintain organization control, but this frequently falls to the wayside. It may seem like semantics, but there is a considerable difference between hiring an IT consulting company to implement your ERP solution and bringing on Liberty to operate as an objective advisor. We act as your partner in the truest sense of the word. Our extensive experience in ERP, as well as other facets of critical business initiatives affords us a unique perspective. We offer project oversight and engage in management responsibilities along with our client. Each of our successful ERP case studies shares many of the same features: reduction of business risk, maximizing business value, and an overall alignment to our client’s long-term goals. Furthermore, having course-corrected dozens of projects in dire situations, we have gained much insight into the pitfalls of ERP. If you’re considering an ERP initiative or are already in one and need guidance, please reach out to any of us at Liberty. We’ll ensure it’s not a game of chance.